1.Light structure, impact-resistant,good load, high heat preservation, durable and pleasing to eyes. 2.Polycarbonate sheet can save 40% more energy than other covering materials. 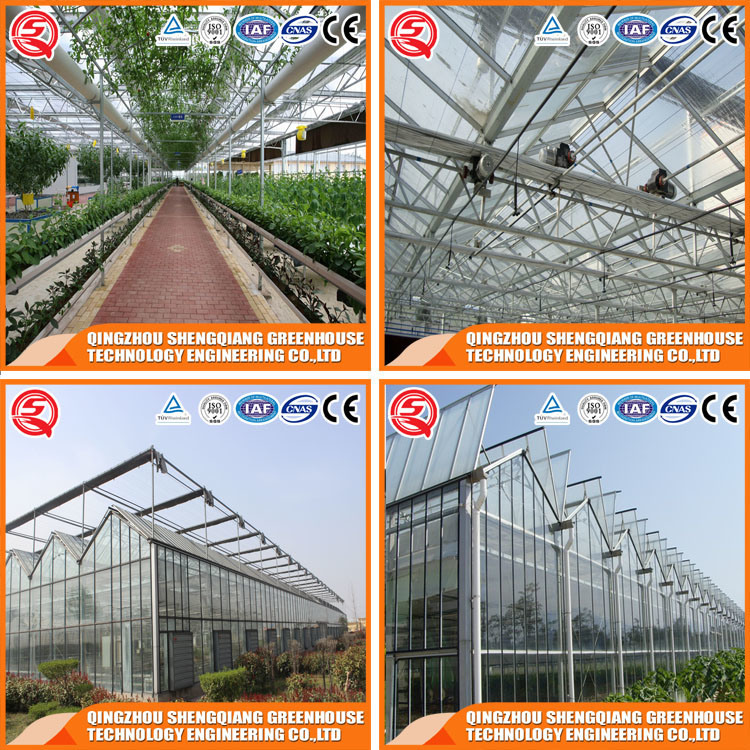 1.Greenhouse adopted with whole steel keels as the holders which working life more than 15 years.PC sheet life is at least 10 years. 3. Bolted type framework, easy to install. 4.Multi-span design whit large interior space. It can offer high use ratio of the land and is good choices for extensive plantation and mechanized operation. Structure The south and north sides of Greenhouse are gables, the east and west sides are side walls. 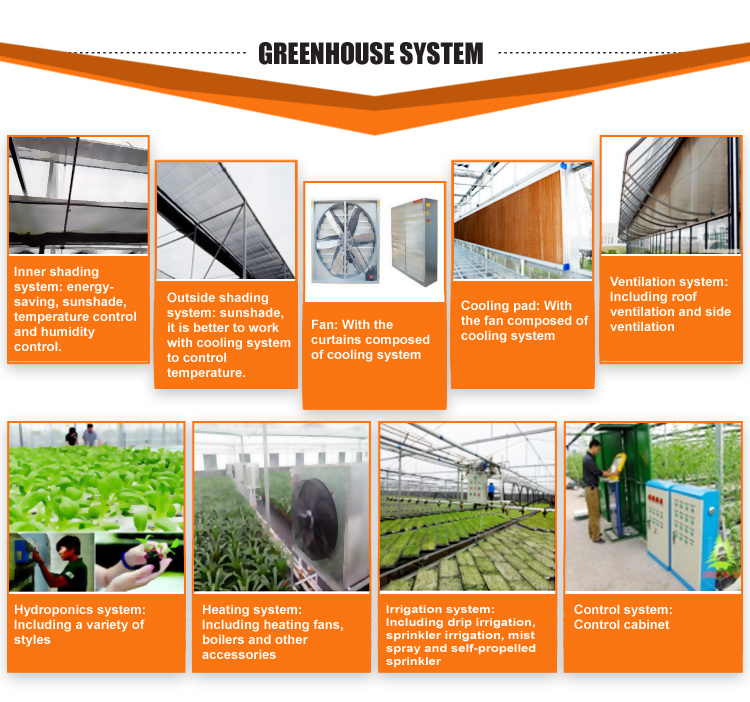 Cuatomers can choose these greenhouse system according to your needs! Shading System Outside/inside shading system: it is better to reduce sunlight and temperature.